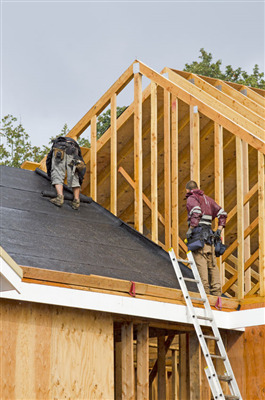 Your roofing offers you protection from the top of your home to the bottom. From protecting your home from damage stemming from severe weather to ensuring that your home is sturdy for years, your roofing is unlike any other component of your home. Many homeowners try different ways to extend the life of their roofing to no avail. If you are like most homeowners, then you will be happy to know that there is one way you can make your roof last longer—roof coating. Roof coating is a roofing membrane that’s elastic. The elastic property the membrane exhibits is the reason roof coating has many of its protective properties, including the ability to protect your roof for years. As an extra layer of protection on your roof, the roof coating prevents a lot of wear and tear that would ordinarily result in damage to your roof. By adding this protection while you are getting your roof installed, you can ensure that your roof lasts longer than it would without the coating. UV rays from the sun are not only damaging to your skin, but these rays are also damaging to your roof. Constant exposure to the sun can lead to shingles cracking, warping, and decaying. By applying a protective coating to your roof, you reduce how much access the sun has to your roof. With the inability to penetrate your roofing material, UV rays’ impact isn’t as significant. By preventing UV rays from penetrating your roofing material, you get an added benefit. With fewer rays to contend with, you will notice that your home remains cooler longer, allowing you to reduce the temperature your thermostat is set to in your home. You can even go a step further by requesting roof coating that is Energy Star recommended, which will also lower the temperature of your roof further. With all the benefits of roof coating offers, it’s reassuring to know that you can use this material with any roofing material you may have installed at your home. So, if you have roofing material installed that already reduces the cost of your energy consumption, you can expect to lower your utility bill more by applying a roof coating. At Intelligent Design Corp we can help you add roof coating to your home. With so many benefits, you can easily save the money you spent on the install in energy savings. If you are ready to lower your energy consumption and extend the life of your roof, don’t hesitate to give us a call today.